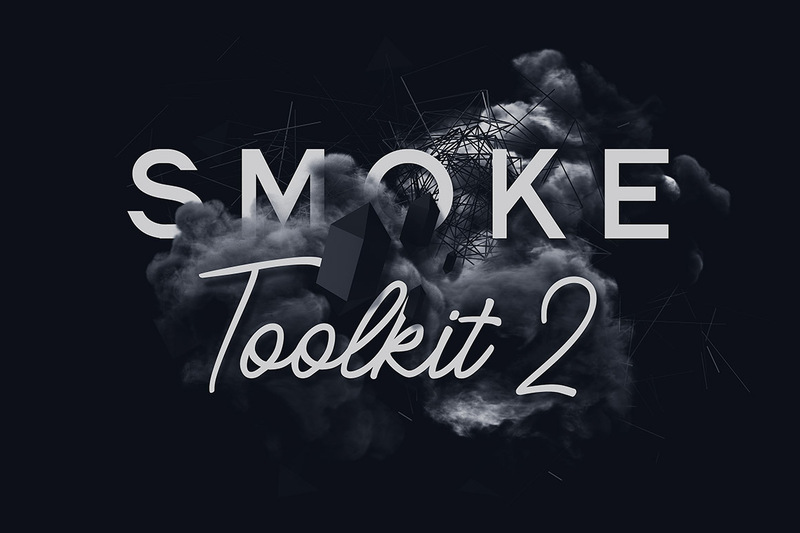 Smoke Toolkit 2 - Dealjumbo.com — Discounted design bundles with extended license! 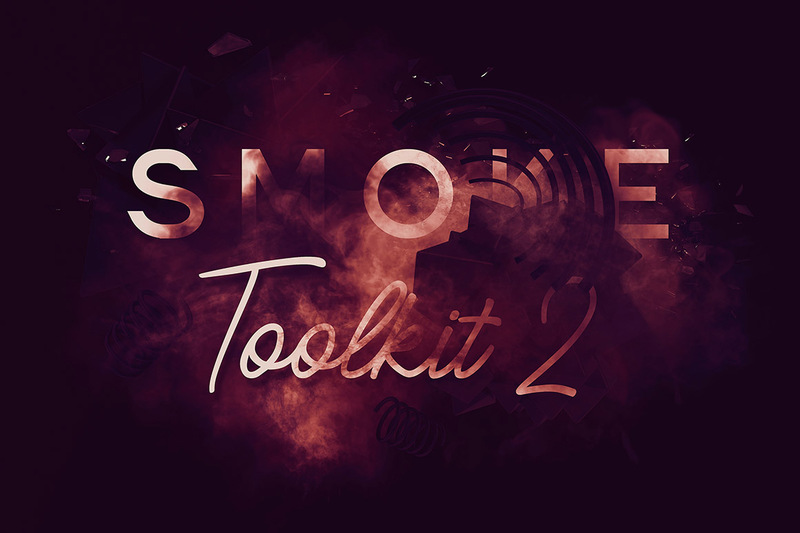 Smoke Toolkit 2 - Dealjumbo.com — Discounted design bundles with extended license! 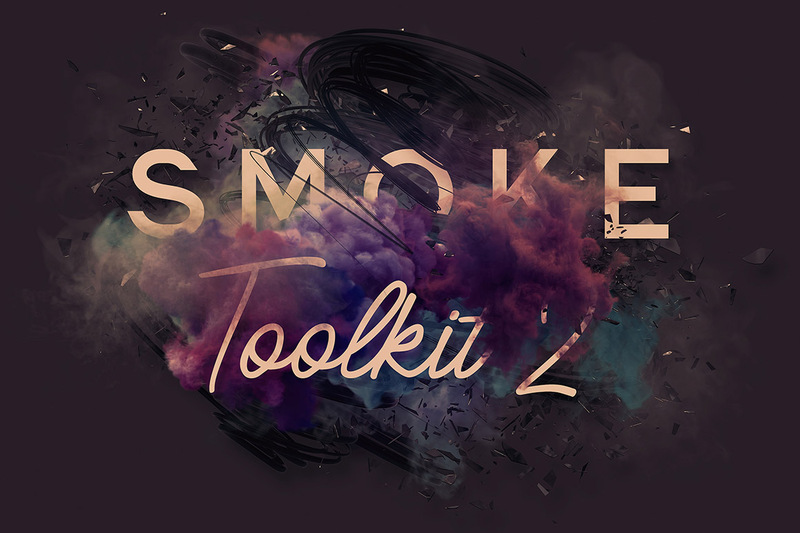 If you’re looking for a ton of smoke effects, shapes, brushes, patterns, backgrounds, smoke letterings, smoke color fonts, regular fonts & extra elements for your new project then this HUGE bundle is just the thing you’re looking for. 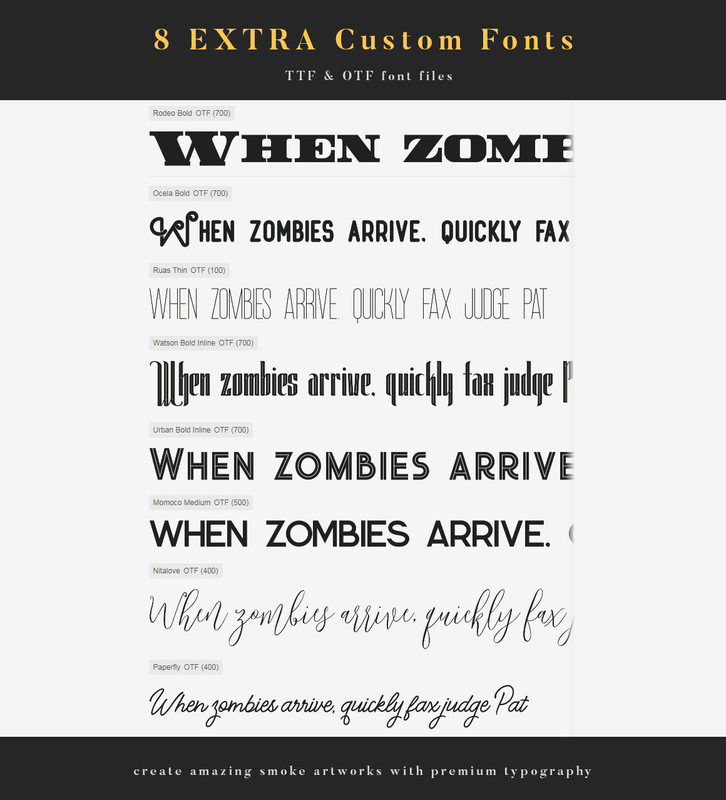 download next templates, shapes & elements for FREE in EXTRA bundle only here! 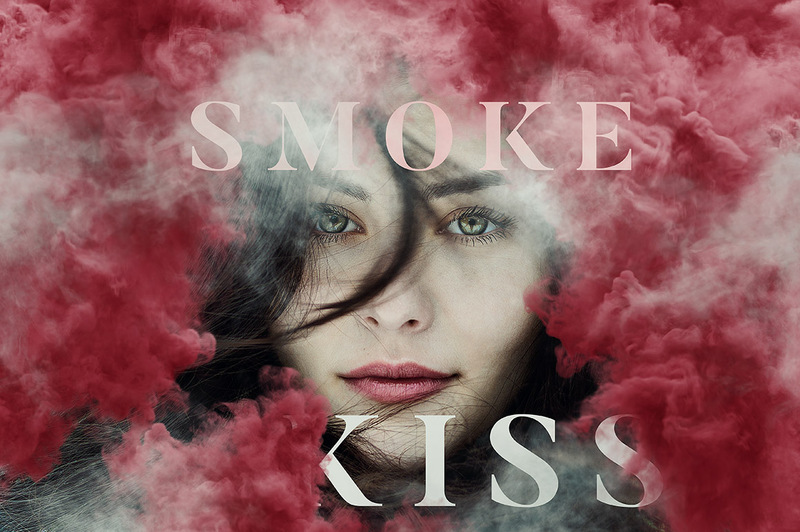 Realistic smoke effects in seconds! 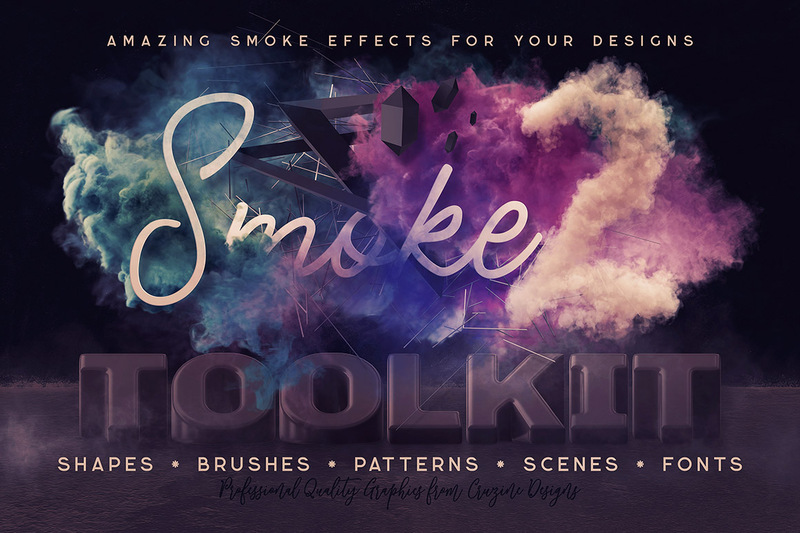 You’ll find in this bundle: 150 smoke transparent PNG images, 100 brushes in Photoshop ABR file, 38 patterns in JPG & Photoshop PAT file, 38 backgrounds, 12 + 2 EXTRA layered PSD templates, 2 smoke & 1 extra PNG letterings (also color fonts) & lot of EXTRA elements like backgrounds, effects, shapes and overlays! 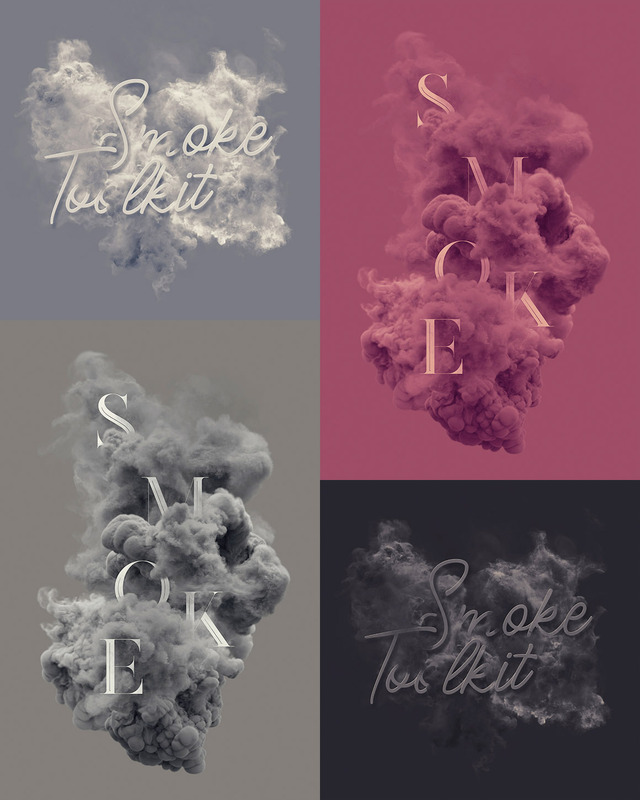 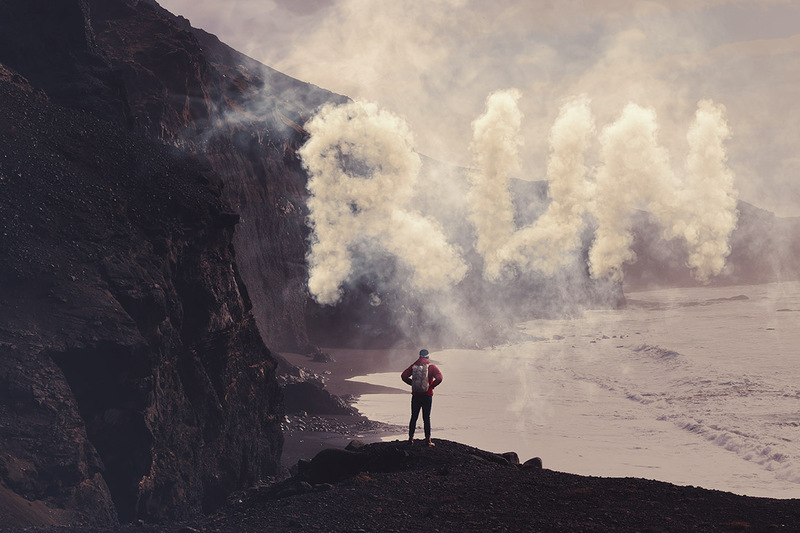 Amazing smoke effects for your designs – HUGE graphics bundle! Normally, these effects, shapes, brushes, patterns & backgrounds would cost you $29 (without extended license & already in bundle) & $87 (with extended license), but for a limited time only, you can get this unique collection for $19! 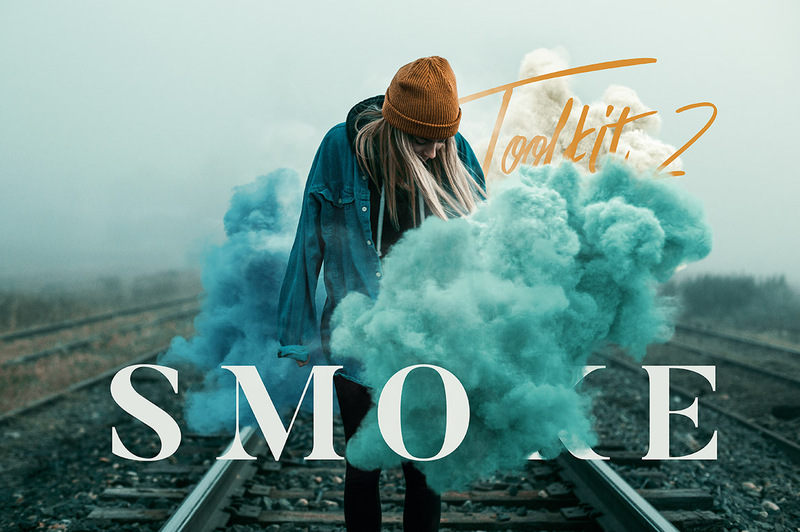 All these items can be used for both personal and commercial puroposes, for yourself or on behalf of a client, on their own, or as part of your new design for sale.